Ponies - Broadcaster. Comedian. Writer. Host. Voice artist. "And the equine are off the line!" Central Wyoming Fairgrounds. Five furlongs. $2,500 claiming race. Saturday 19 September 2015. Book of Business pays dividends! 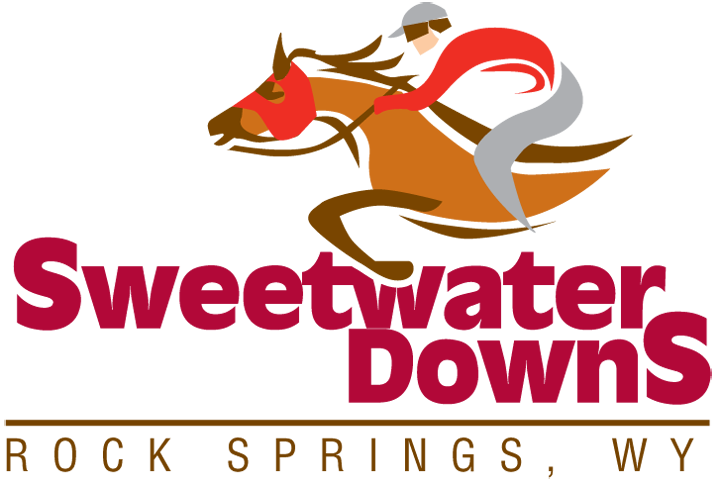 Call to post and 350-yard quarter horse race. Central Wyoming Fairgrounds. Five and one-half furlongs. $7,500 claiming race. Sunday 20 September 2015. Vegas Burn proves a smart gamble! "And they cowboy-up for home!" You can't tell the horses without a scorecard! 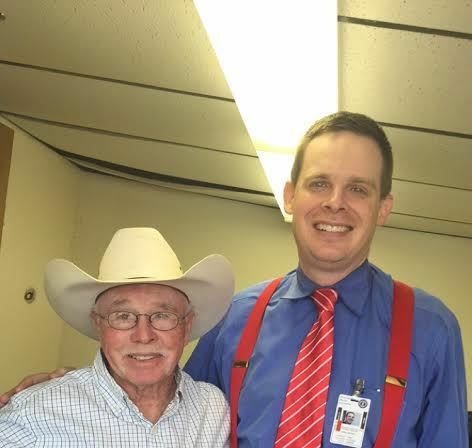 Wyoming Downs' clerk of scales and chaplain, Pete Criswell. Perhaps my favorite childhood memory comes from the day in the mid-1980s when my paternal grandfather, dad and I went to the races at Ellis Park in Henderson, KY. To say the late Carson Harreld, Sr. could stretch a dollar is to say Tom Brady can throw a football. So when the man affectionately known as Chrome Dome pulled a crisp twenty from his wallet and bet it to win, I was shocked. But, moments later, when the World War II Army artillery officer returned to the wagering window to claim his money, I was in awe. "Over the course of one summer, I watched A.P. 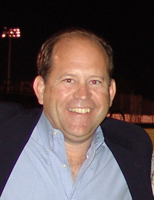 develop from a green horse racing rookie to a highly competent track announcer. But it's his natural abilities as a showman that make A.P. standout among his peers. Crowds, jockeys and race officials alike delight in his ability to entertain. Any venue seeking to add panache and excitement to its sound should put A.P. Harreld in the crow's nest!" "I met A.P. 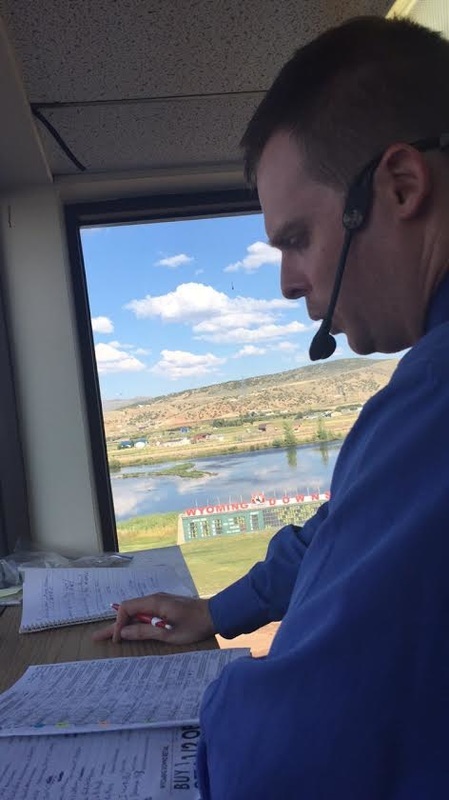 in the summer of 2015 while working at three different race tracks in Wyoming. He was always very professional and willing to work with me to make the audio the best it could be. Not only does A.P. 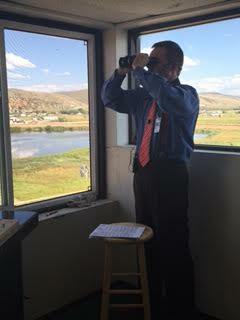 do a good job of calling the races, he also adds an entertainment value to the job. If you are looking for somebody to add a little extra excitement to your horse races, you should contact A.P. He keeps the crowd entertained and excited for the whole race program." "I don't know where A.P. 's going but I know he's going far. A.P. put on a great show for all our fans in Rock Springs and Casper." "I worked with A.P. 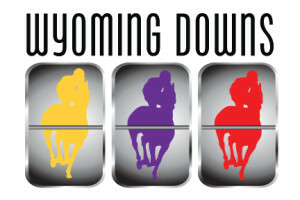 the entire summer of 2015 at Wyoming Downs. For the first few weeks, I served as his spotter on thoroughbred races. But by early July, A.P. had come into his own with the microphone. And while there are many fine track announcers, there are few, if any, who combine such a solid call with A.P. 's wit and flare. Listening to A.P. load the horses serves as yet another source of entertainment during a day at the races. Owners and GMs, if you want to give racing fans even more bang for their buck, bring the talented A.P. Harreld to your track!"